The best apartment..view was beautiful from my apartment. Free parking. Room service always availble when needed. Manager Miss Neelum was so helpful in completing the booking and fulfulling my request. Location is best...right across the road are city centre. Came to facility late evening and due to “technical problems” they didn’t have room for us. They transferred us to a lower rated hotel nearby, ok, but not what we paid for. We got the choice to move back, but with three kids and a plentiful of bags we decided to stay. Not too bad, but I wouldn’t do it again. 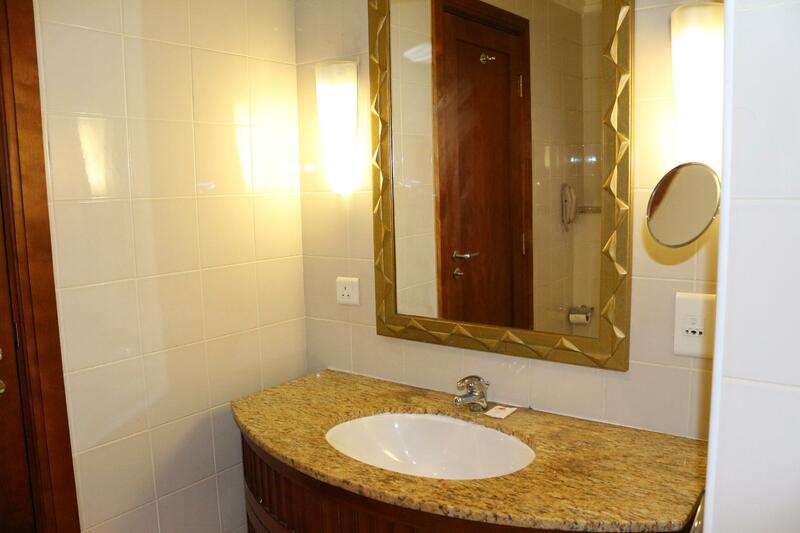 It was my best experience in my recent stay in Pearl city suites - Dubai. 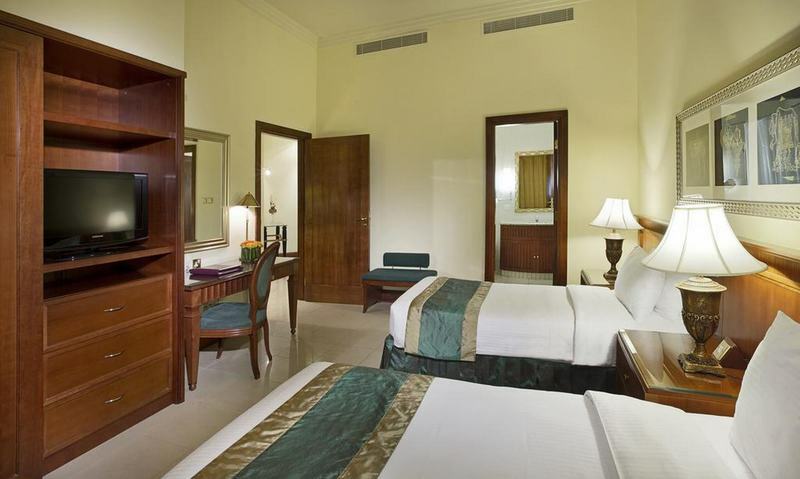 Rooms are much bigger and all the facilities are very good. Excellent service from receptionist & all other supporting staffs. My next stay in Dubai will be Pearl city suites only. We have stayed at the hotel 4 times in the past when we came to Dubai.Back then it used to be a great hotel with nice features but this time we found it as a very bad hotel.First of all the receptionists are rude especially the lady.They tried to cheat our money but we soon found out.Secondly the rooms need deep cleaning and furniture and rags are to old.Thirdly the swimming pool area is dirty and looks like it hasn't been cleaned for a while.The water was ice cold since heaters weren't working and the jacuzzi was not available. And every night their were loud noises coming from the mezzanine.Also while having lunch at the hotels restaurant we saw a rat inside.Only one person was very helpful and kind.His name was Jonathan,the bellboy.He always greeted us and was very willing to help us.One thing which we choose this hotel was its location,it was probably 100m away from Deira City Center.Overall the hotel is deteriorating and I don't think we will stay at this hotel anytime soon. Firstly, the pool heater wasn’t working so that couldn’t have been used. Secondly, we requested for a travel adaptor. The receptionist asked for a small deposit on the adaptor. At check out, there was no deposit recorded and hence we didn’t get it back. It is less than 10min drive by taxi from airport to the hotel. Old but still consider clean. The Deira city center shopping mall is just opposite and on the right of the hotel is just a few minutes walk to the metro station. Had dinner in the restaurant on our last night and it was reasonable cheap and good. Will definitely recommend to my friends. Excellent location. Just a short walk from public transportation (metro and bus). Deira City Center is only few steps across the street. The airport is very near. The staff were welcoming and smiling. Check-in was quick and easy. The suite itself was marvelous: spacious, clean, well equipped kitchen. I wish the suite was more soundproof. Bed was very comfortable. Room cleaning service was great. I really enjoyed the pool and view. The attending staff were very helpful and nice. I swam daily though water was really cold and I wish it was heated. Booked the hotel for me and couple of friends who came from other country and city. Did not turn out well with all the hassle the receptionist gave us. They don't have proper endorsement with the next shift and customer service should be rated as -1 for all the staff. Wifi doesn't work in our room, asked assistance but they just told us to turn it off and on again. Still so slow as a turtle. Security from the hotel treated us like we are a threat in their hotel when really we are just a bunch of young adults having our reunion, trying to enjoy good stuff in Dubai. We did'nt even stay much at the hotel cause we spent more time outside food tripping and malling. Such a disgrace cause I spent a lot of time researching about the hotel and reading all the reviews and still end up disappointed. Very near to shopping Mall. Clean. Staff was friendly. Near Mall, clean, and everything was GREAT. Everything was good, clean, location very near to mall. The apartments were spacious and had all the facilities we needed. Good wifi with a comfortable bed and a powerful shower. 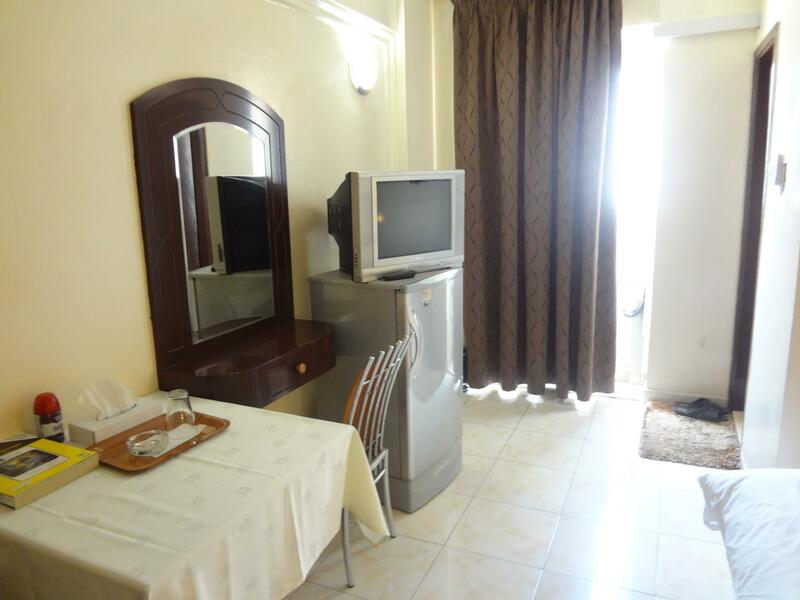 The location is great - just opposite Deira City Centre shopping centre and 100 metres from the metro. We didn't use the restaurant so we don't know if thw food was food. The gym was ok but no water in the swimming pool. Room was spacious. Location was also good. Just across the hotel is a shopping mall. Staff were accommodating. Needs to tidy the room very well. In the kitchen when we opened the drawer, there is a rotting onion that stinks the whole room. We needed to request for slippers as there was none in the room. Check in and check out time was a problem. We waited for more than 3 hours for our room to be available. This his my first trip to Dubai, and to choose to stay in Deira is a very wise decision for 2 reasons: Proximity to the airport and a stone throw to a large shopping centre and metro stop. The hotel changed its name from City seasons to Pearl city, but rest assured, their quality do not change at all. I was very impressed with the size of my room and it's cleanliness and maintenance. 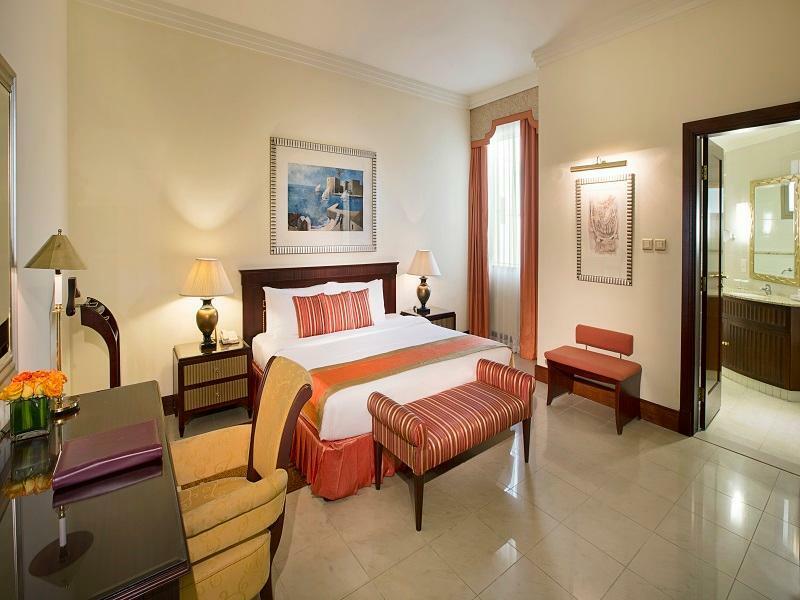 With this reasonable price (Dubai is generally very expensive), a longer stay is of no problem. A taxi ride should be under 20 AED. Deira city centre opposite the hotel is a huge shopping that practically has everything, perhaps without too much luxury brands, which didn't bother me. Food court, restaurants, a huge Carrefour supermarket for your souvenir shopping at reasonable price, you can forget about having to haggle at the souks, which will still overcharge you no matter how good your bargain skill is. I took a tour to Abu Dhabi, my tour guide who picked me up commented how wise I was to have chosen to stay here, based on the convenience of the area alone. Definitely will come back for my next trip here. 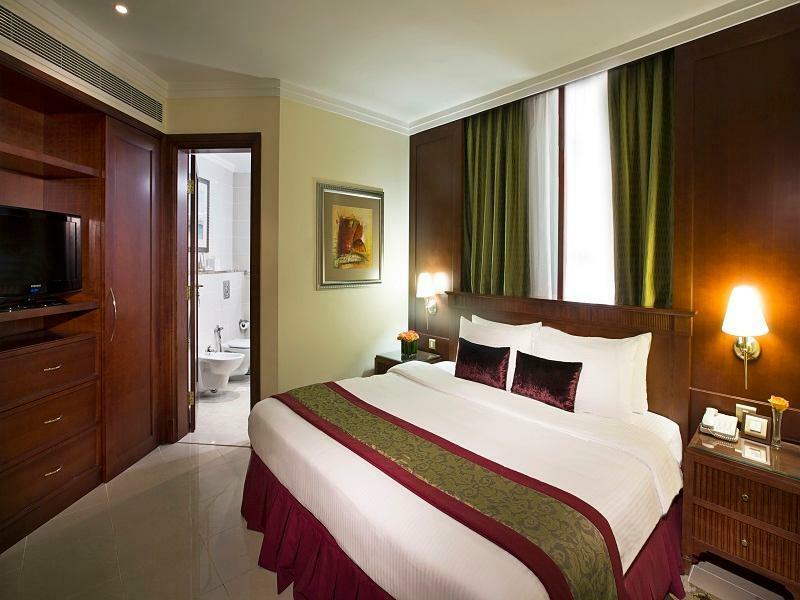 The City Season Suites is a good hotel, with large rooms, in a really great location. Check-in is quick and easy. They staff is very friendly, including the reception, the concierge and the cleaning staff. The room is very large and is similar to an apartment. The room even has a guest bathroom and a suite bathroom. It is nice if you have friends visiting, they have their own bathroom. The room also has a kitchen, living area and separate bedroom. 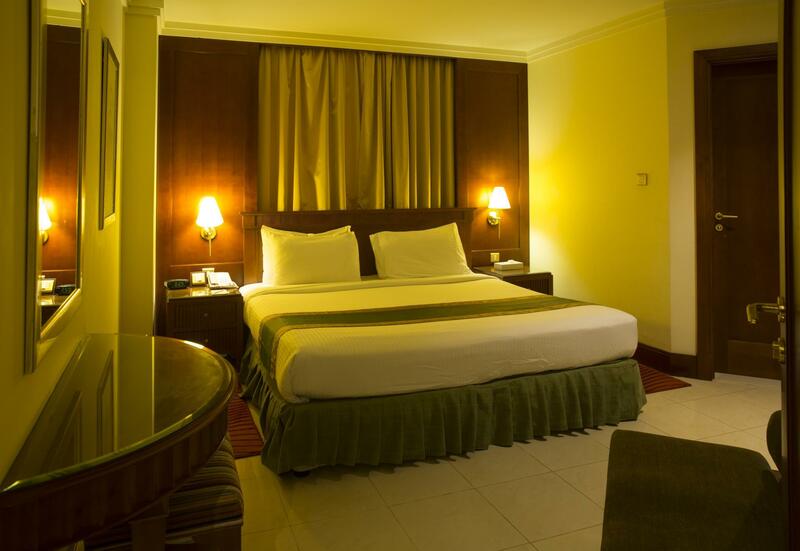 The hotel is just a few minute away from the airport and is directly across the street from the Diera Mall. The price is really great for the size or the room, and the location. สถานีรถไฟใต้ดิน Burj Khalifa - ระยะ 0.18 กม.